Understanding what you want, but more importantly why. What you want it to achieve (the objectives – we think about these a lot!) for who and how it fits into the bigger picture of your brand or marketing strategy. We understand that sometimes you won’t have thought about your objectives as a specific list. They are usually wrapped up in the process of planning, we can ask the right questions to understand you, your company and your event. Armed with a clear understanding of what the event needs to achieve, Green Spark will work as part of your team to design the event. Event Design is not just the creative look on the day but the structure of how it will be delivered and managed on the day, together with initiatives to extend the length of the exposure to the target audience, both before and after the event. Everyone is different and every event team is different, bringing with it different skills, interests and points of view. 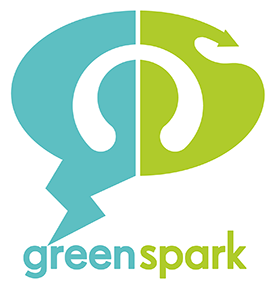 Green Spark can be involved in as much or as little of this project management phase as required. We can discuss how we can help you to achieve your objectives once we know what they are. In our experience creating the team for an event and getting it altogether as early as possible helps enormously as everyone has a better understanding of what needs to be done, but more importantly why. Once we know the parameters of how the event will work, we can get the creative team involved in designing a concept. This will be discussed with you in outline before being worked up to a full concept and presented for consideration. The concept will include ideas for the structure of the event, the programme, speakers, workshops and staging. The process of planning and coordinating the event is usually referred to as event planning and includes such aspects as; budgeting, scheduling, site selection, acquiring necessary permits, coordinating transportation and parking, arranging for speakers or entertainers, arranging decor, event security, catering and emergency plans. Green Spark have lots of experience in event planning as well as in design. Often the best outcomes happen when the planning and design are done together.